I got the base recipe from R’s mom but I thought of trying this sandwich, either with Dabeli potato filling or samosa potato filling. But to my luck, I didn’t have any beets when I prepared those two recipes. 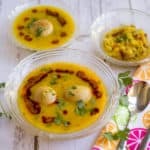 When I was chatting with my friend (who gave me the Chivda recipe) regarding this Bombay sandwich recipe, she suggested the boiled potato slices instead of mashed potato curry. And also asked me to try it with Amul cheese and butter to make it utterly butterly delicious. :-) I usually buy unsalted butter from Costco and prepare ghee. 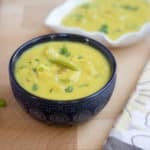 So for this recipe I went with Amul cheese and butter and luckily the Indian grocery stores here had both. 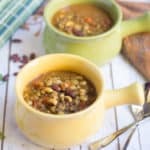 I am still a novice food photographer and I am experimenting and learning photography each and every day. I wasn’t satisfied with the initial pictures as I messed up my setup. Since it is an “Under 30 minutes” recipe, I thought of preparing the sandwich again and click new set of pictures. 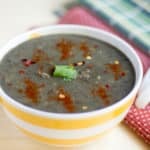 I did prepare the recipe, but didn’t get a chance to click it again properly. With the big event coming up, either I am running like a headless chicken or glued with my laptop, coding. That’s why I kept postponing the recipe and finally gave up and here I am with my initial set pictures. I am hoping to update the pics soon. Water for steaming the veggies. Prepare the green chutney or store bought ones works fine too. Slice the tomatoes and onions into thin round slices. I felt slicing the veggies and then steaming them was pretty easy. But you can try the other way round too. Peel the potato and beet skin. Slice them into thin rounds using the slicer. 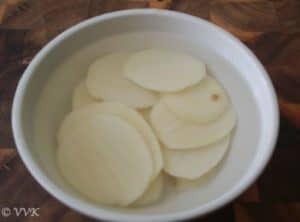 In a microwave safe bowl, add the sliced potatoes and add about 1 cup of water and microwave for 5 minutes or until the potato slices are tender. 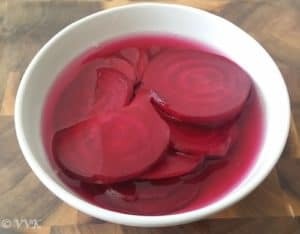 Similarly in a microwave safe bowl, add the sliced beets and add about 1 cup of water and microwave for 5 minutes or until the beet slices are tender. Set all the ingredients ready like below. First apply butter on one slice of the bread and then green chutney on the other slice. Layer the veggies in your preferred order. Finally add cheese and close the sandwich and toast them. I used my toaster or you can grill them on stove top also. Toast them until the cheese melts. 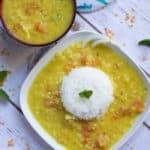 Instead of potato slices, potato curry can be used. Sprinkle salt and pepper as required. Cabbage slices and bell peppers can be added too. Any cheese of your choice can be used. If you can’t find cheese slice, you can use grated cheese too. 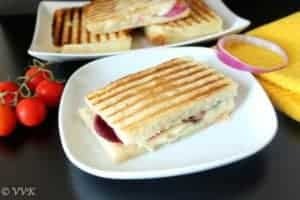 Bombay Sandwich –an utterly butterly delicious sandwich with yummy green chutney spread and veggies like potatoes, beets, onions, tomatoes and cheese. That’s a delicious sandwich!..good one.. I have a weakness for street food and this is one of my favorite. Love the use of different colored vegetables in the sandwich. That is a very pretty sandwich with the perfect grill marks on top and ruby red beets inside. 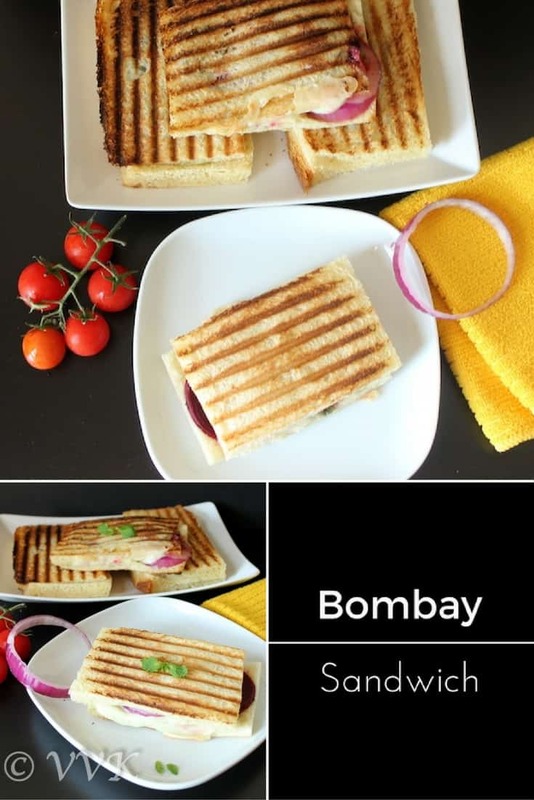 I love Bombay sandwich…simple, light and easy. This is in my to do list.It looks so nice and filling. Love those grill marks on the sandwiches. 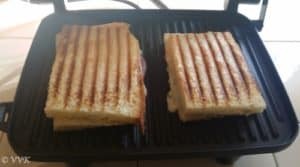 My family loves these grilled sandwiches! This has been on my to do list from a long time. Your sandwiches are tempting with those perfect grill marks. I always have a soft corner to this sandwich and you are tempting me with this ultimate sandwich, delicious. 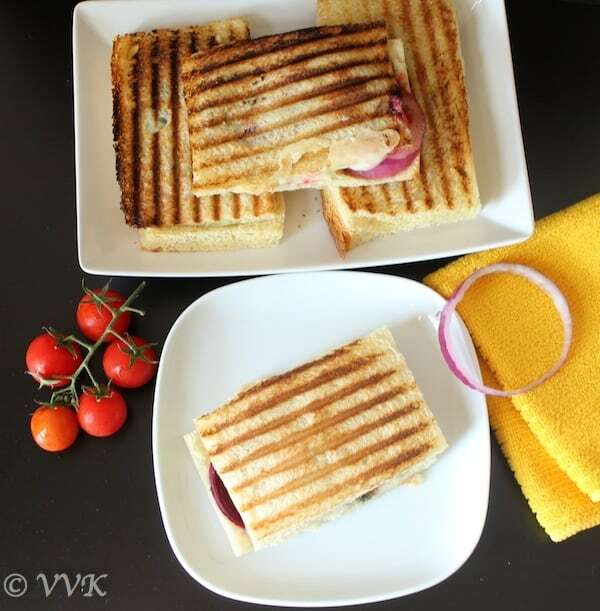 Bombay sandwiches have an amazing taste and I am hooked on to them..love the onion beetroot in these sandwiches. So attractive colors and photos Vidya.. I haven’t yet tried this version, though I heard about this sandwich.. 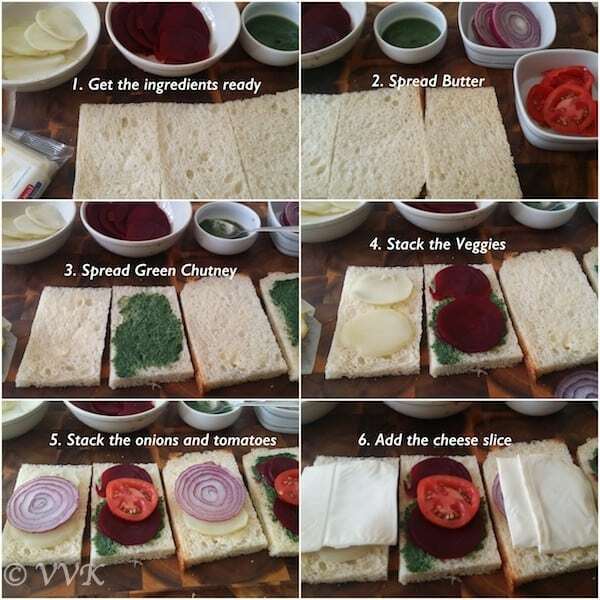 Very healthy sandwich.. Want to try this soon.. Please do try Seena. Thanks a lot. You got beautiful grill marks on the sandwiches!! This is a quick and yummy sandwich. Good luck with the big event! 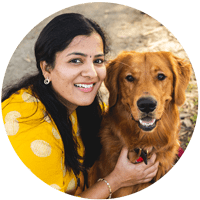 Are you one of the organizers or participating in the event? Thanks a lot Usha. Much Needed. :-) No we are the organizers. So working with sponsors, food vendors and content creators.. its pretty hectic. Delicious sandwich recipe. I just want to grab one off screen..